Andhra Pradesh's TDP government is coming up with new Cheap High Speed Fibernet Broadband service. Cheap Price means you will get 15MPBS speed of fibernet high speed broadband for just Rs.150 per month and for 100MBPS speed Rs.999/- per month you need to pay. Shocking right? No its not rumor, its official. Andhra Pradesh's Chief Minister Shri N Chandrababu Naidu had twitted it officially. We're providing Internet through APSFL at Rs.149/month for a 15 Mbps line to households & offices will get 100 Mbps line at Rs.999/ month. And By December 2016, major cities of Andhra Pradesh will get high speed fibernet broadband service at nominal price. So, if you are going to get high speed internet and fed up with service of private companies, do wait and try this one. To boost Digital India campaign (and to boost start up's in Andhra Pradesh), Andhra Pradesh government reveled the cheap high speed broadband service. How to will people get High Speed Fibernet Broadband Service? 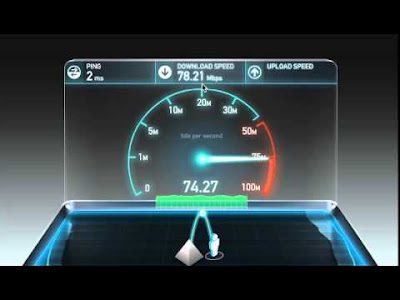 As it looks like Andhra Pradesh govt is quite committed to provide high speed internet. For that, Andhra Pradesh government has signed MOU with "Cisco" to setup infrastructure for fiber network and making it success of Phase 1 Fiber net by End of this year. Currently in phase 1, there are few major cities are selected under which the strong fiber network will be created. We yet to got enough data on other plans of this fibernet service. We are expecting it in few days that Andhra Pradesh government will release it detail plans on this. As of now Chief minister Shri N Chandrababu Naidu has announced 2 plans. The details and more plans for this fibernet service will be available in upcoming days. Who others are competing for high speed internet ? For providing high speed internet, after announcement of Digital India program, ACT fiber-net, Cisco and Google Fiber also in race of providing fibernet broadband service. Also, Reliance Jio is coming up with their 4G service. Vodafone also coming up hard in 4G service. In short, coming days internet service defiantly going to improve because of high competition among top service provider. Other states like, Telangana who got high FDI proposals from amazon, HTC, facebook and other internet giants. So, telangana govt will also soon come up with such more service as they are trying hard to make it silicon valley. Other than that, Gujarat govt also going to provide free wifi service in coming days. Gandhinagar (Gujarat's state capital) will soon going to get free wifi and will become india's 1st State capital who will be fully wifi city. And Soon, 13,800 villages and around 200 major cities of the state will get free wi-fi at all public places. Its amazing that state governments are moving towards free wifi schemes and high speed broadband service. Wish india become internet hub soon.